At some not-so-distant point in the future, art history courses in college might spend as many as two whole lecture periods showing students cat videos from the internet's early adolescence, when domestic feline ribaldry was the pinnacle of high art. 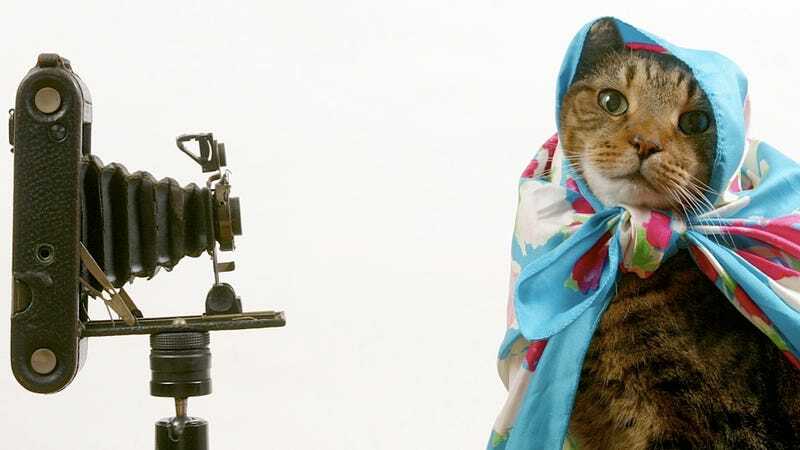 The Walker Art Center, "a well-regarded museum of modern art in Minneapolis" according to the AP, has unleashed its first-ever "Internet Cat Video Festival" on the public, and, from only a quick perusal of the lineup, it sounds like the best art exhibit in the history of art. Eat it, Julian Schnabel - nobody cares anymore. The festival includes 70 videos for about 60 minutes of cat ecstasy, with such notables as Henri, the ennui cat, the world-famous Nyan Cat (which I just now watched for the first time and omfg wtf is wrong with everything and why can't I stop watching??) and a video of the possibly brain-damaged cat Maru getting his head stuck in the same box of a diet beverage. Walker's website explains that the festival is as much exhibit as it is an art experiment "that tests the social boundaries of the online community with a live, off-line event." Also, the Feline Rescue, Animal Humane Society and The Wildcat Sanctuary will be on-hand, probably with plenty of real-life cats for petting and dotting over.